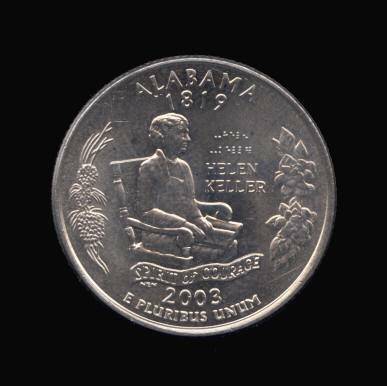 The Alabama quarter shows Helen Keller seated right with a leaf pine branch behind her and magnolias to right. Her name is in braille above her inscription. 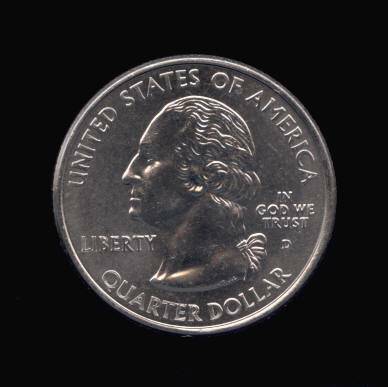 This is the first US circulating coin to have braille on it.